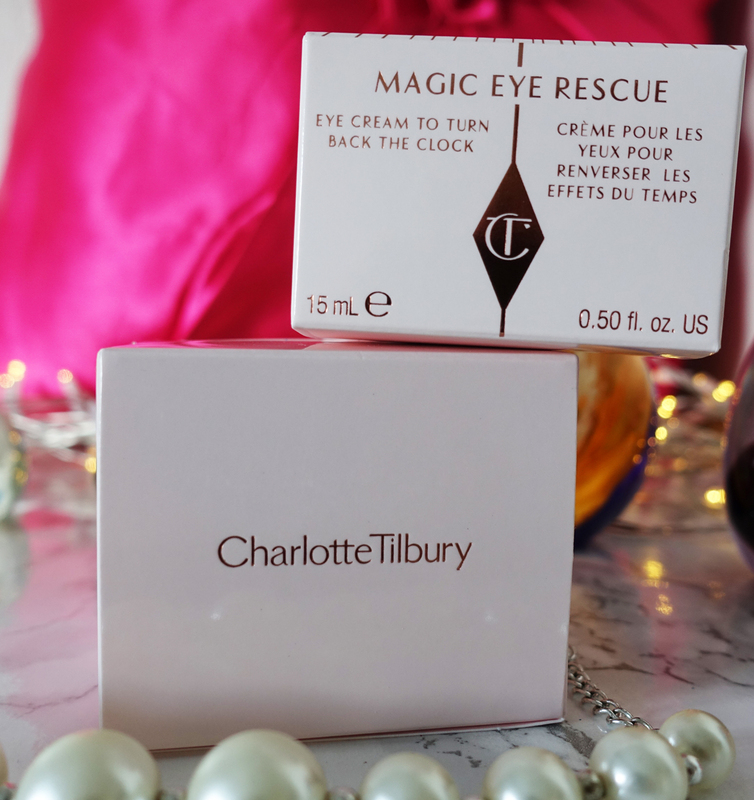 Skincare Magic from Charlotte Tilbury | Is This Mutton? I doubt that moisturisers can seriously transform skin over time because they don't have the ability to penetrate deep into the skin's dermis to make any difference. But that's not to say a good moisturiser is not worth its weight in gold for the instant transformative effect it can have. I've spoken before of my love for Charlotte Tilbury's Magic Cream. I first tried it when it launched in 2014, here. I notice there's been a slight change to the description of the product. It's now described on the Charlotte Tilbury website as "Treat & Transform Moisturiser with SPF15", whereas my latest pot, bought two months ago, is described as "Instant Turnaround Moisturiser SP5 15." Whatever - this iconic cream really lives up to its reputation. The formulation apparently has ‘multi-tasking’ anti-age BioNymph Peptide Complex to stimulate collagen production while fighting free radicals. It also has Hyaluronic acid and wild pansy extracts which "seal-in moisture so your skin feels renewed and rejuvenated," while "Rosehip and camellia oils, and antioxidant vitamin E transforms dull complexions so you can get hydrated, youthful skin". I find it genuinely lives up to the claims, making my skin look smoother and more radiant, and negating the need for a primer before foundation. I've been using Magic Eye Rescue cream for a few weeks. I went for a long period without using specialist eye creams and regretted it. Normal moisturiser doesn't do such a good job in the eye area if you have, as I do, dark circles and dry, crepey skin. The ingredients of Magic Eye Rescue include Winter Daphne Stem Cell extract, Botanical Eye Contour Complex and Second Skin Red Algae Marigel. These are said to nourish the skin and promote anti-ageing benefits. Time released retinol molecules works hour-by-hour to boost the rejuvenation process of skin cells whilst also increasing the collagen content in the skin to make eyes appear younger and more radiant. I find a little goes a long way. Like the Magic Cream, it has a delicate smell and a luxurious, rich texture. It quickly soaks in as I tap it around the eye area. The most astonishing thing is how the crow's feet wrinkles are smoothed out. The Tilbury website quotes some research which claims that the cream is "clinically proven to reduce wrinkles by up to 24% in 8 weeks and clinically proven to brighten dark circles by up to 21% in 8 weeks." But although there are asterisks, the research source and size of sample is not mentioned. I take all research like this with a pinch of salt because usually the cosmetic firms test on such a small qualitative sample, it isn't worth the paper it's printed on. In my experience, if you give a woman a new moisturiser or eye cream, she will generally like it initially because of the claims made and the novelty of the product. It would be far more valuable to carry out research eight weeks down the line. Although it looks as if Charlotte Tilbury did, it's a pity that the Tilbury website doesn't say how many women were tested and under what conditions. I'm going to carry on using the Magic Cream and the Magic Eye Rescue because they're both seriously good products which definitely improve the appearance of my mature skin. I remain unconvinced as to whether they can bring about long-term improvement. That's exactly what I was doing, and thought it was fine, but noticed the difference when I went to using a specialist eye cream! Well every girl wants to look pretty and for that, she uses every type of skin care products she knows. Well, eye cream also make me eager to use it so, I will definitely try it. Recently i am using Revitol eye cream as it reduce the appearance of wrinkles, along with a wide range of vitamins, antioxidants, and skin-plumping substances are ideal choices and Revitol eye cream is one of them.